Hi Mylotters. Some days ago I read here that a chinese member was not paid because of his location. And some members called it scam. I am a standard member there clikcing there for about a month without referrals. I reached payout and made a payment request. It was written that they may will pay in a week. (coz I am standard). I made request on 13th of december (4 days ago). 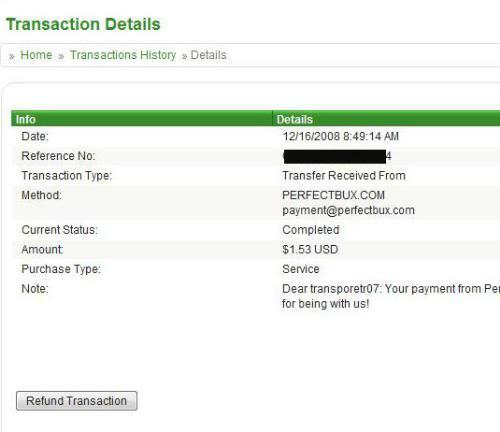 Today I receieved it and I am sharing with you my payment proof. thanks for the proof, you got a referral link so I can join under you? I added it in my profile at the bottom of the banners. it is a good site. i too have been paid by them and i like the site..
That is really great news. Thanks for showing payment proof on Mylot as this will give a lot of other members of that site hope and faith in it also. Take care and well done on your payout.